Our Bench offer family and wheelchair accessible self catering holiday accommodation in Lymington on the edge of the New Forest National Park. We have three purpose built cottages available, all with level access, ground floor accommodation, accessible wet rooms with space for lateral transfers, kitchens which have built in accessible areas and comfortable home from home furnishings. We are able to accommodate between 2 and 5 guests. All cottages have electric specialist beds, a riser recliner chair, central heating, off road parking and free Wifi as standard. Purposely designed for guests with additional needs, yet homely and welcoming to everyone. Our disabled access holidays are in the New Forest, all three cottages are situated on the outskirts of Lymington. We are an ideal base for the New Forest, the South Coast, Hampshire and Dorset. Fantastic day trips to the Isle of Wight, Portsmouth, Southampton, Salisbury, Bournemouth and Winchester. There are lots of places to visit nearby from theme parks to ornamental gardens, crazy golf to museums and we are delighted to share some ideas with you in our explore section. Our Disabled Holiday Cottages are Wheelchair friendly, have accessible wet rooms, level access throughout with plenty of turning space. King or twin with head and foot riser beds both accessible by ceiling hoist. King or twin bedroom with head and foot riser beds. 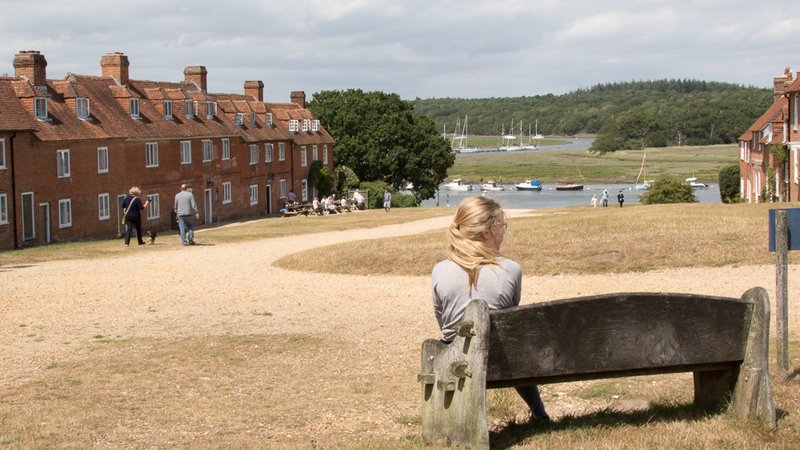 Now is a great time to show a loved one that you care, book any break (weekend, mid week or week's holiday) in Little Bench - enjoy a stroll along the sea front at Milford, take time to explore Bucklers Hard (Pictured), an historic villiage overlooking the Beaulieu River, meet the New Forest Deer at Bolderwood, enjoy a coffee at the Beachcommber Cafe, or sip Gin on the Quay in Lymington with the Ship Inn. Little Bench has a great offer just for February- save £50 if you book this month. For more ideas of places to visit check out our photo gallery of ideas. Situated just two miles from the Georgian Yachting Town of Lymington and surrounded by the New Forest National Park. We are located in the village of Pennington, our cottages are on a bus route, just two miles from the nearest train station, backing onto open fields yet just five minutes walk to the nearest shop where you can purchase your morning paper, freshly baked bread, fruit, vegetables and milk. We have collated a selection of information about the local area - including details of our favorite walks, attractions, pubs and cafes and details of some of the local "changing places" facilities to help make your stay more enjoyable. Discover more about Lymington, the New Forest and possible Day Trip ideas! We have also put together a photograph gallery of inspiration ideas. We also share details of local events on our facebook page. We understand how disabled access is essential to ensuring a home from home holiday. We know not everyone can secure their booking immediately by credit card, so if you would like to pay your deposit by BACS or cheque then please complete the enquiry form below with your preferred cottage and dates and we will email you with alternative payment methods and hold your booking for 7 days whilst waiting to receive payment. This is ideal if your holiday is being paid for by a third party souce such as a care home, a social worker, carers, a holiday agency etc.